I surfed the web and archived every german article about House of Mirth I could find. There are 12 from 2001 and 48 without year. So if you are able to understand german - happy reading. Cinemaxx aired a trailer on September 9th, 2001 on the german channel Pro 7. There are 114 images available and the german script. It's officially online! 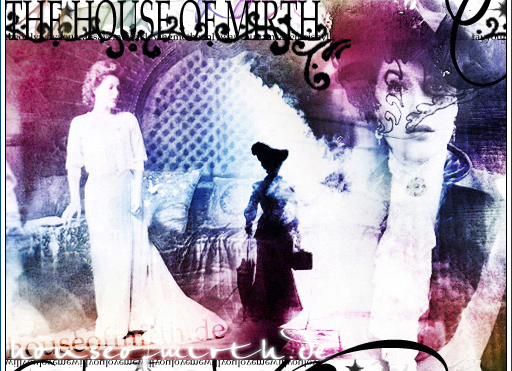 Join if you cannot get enough of "House Of Mirth"! US Weekly was translated. Denver Post was translated. First is mine and the second was created by Touchstone! THANKX! House Of Mirth has been canceled in Germany. Furthermore houseofmirth.de will not be updated, because of the events in america. I think it's not the right time for it. Maybe it has been canceled because of the tragic events in New York, cause main setting is New York and the basic theme is money (with regard to World Trade Centers). It's the first House Of Mirth Site in german, that's why my major interest is to keep it german-focused. However i am trying to keep this site also interesting for people who speak english. For proper information about House Of Mirth, GAWS created a geat site about this wonderful movie. It's completely in english and probably you will find there, what you are missing here. Nevertheless i am trying to offer all important information about House Of Mirth in both languages as long as it's possible for me to do so. You will find all news in english on this site. What can you find over here?